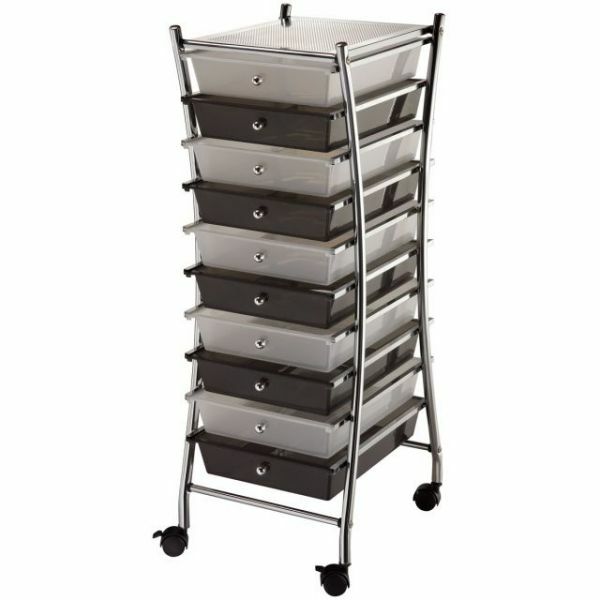 Blue Hills Studio X-Frame Storage Cart - BLUE HILLS STUDIO-X-Frame Storage Cart. Patented interlocking rail & drawer system prevents drawers from shifting off cart. Molded stops on the drawers prevent them from pushing through the back of the cart. Drawers can hold up to 3 pounds each. Single carts have four casters (two locking) and double-wide carts have six casters (two locking). This package contains one 32 x 15.5 x 13 cart. with 2-1/2x9-3/8x13-3/8in drawers. Imported.